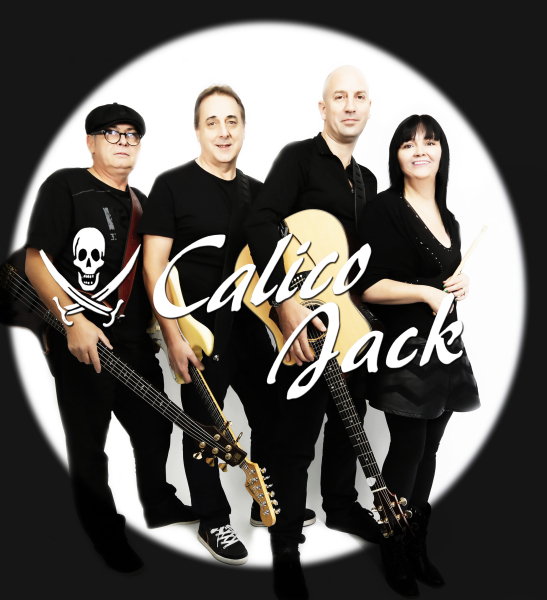 Calico Jack are John, Trevor, Kerry and Louis – professional musicians with many years of experience in the entertainment industry. Together, they deliver the ultimate quality rock’n’roll – a high-octane powerhouse that leaves audiences howling for more. Using state-of the art sound equipment and lighting, this band is guaranteed to get any crowd up and dancing – and then keep them up – as they power through all the classic rock anthems. Their comprehensive four-hour set-list can be customized to fit a wide range of audience and venue requirements. With an impressive repertoire of over 200 crowd-pleasing classics, Calico Jack are guaranteed to rock your world.